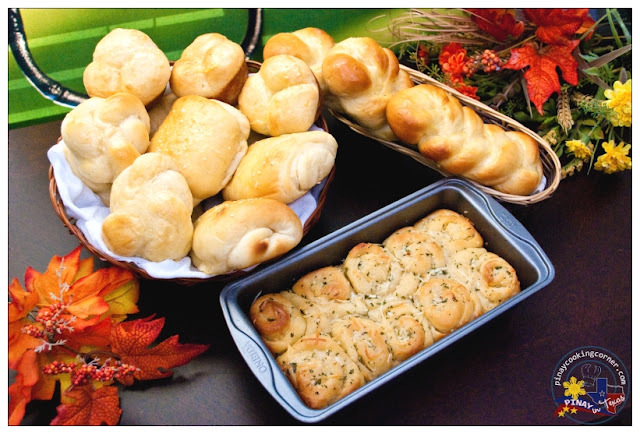 Thanksgiving Day is almost here...and because one of the favorites parts of every holiday feast is homemade dinner rolls, our host for this month's Baking Partners Challenge, Swathi of Zesty South Indian Kitchen chose Shaped Dinner Rolls as our theme. 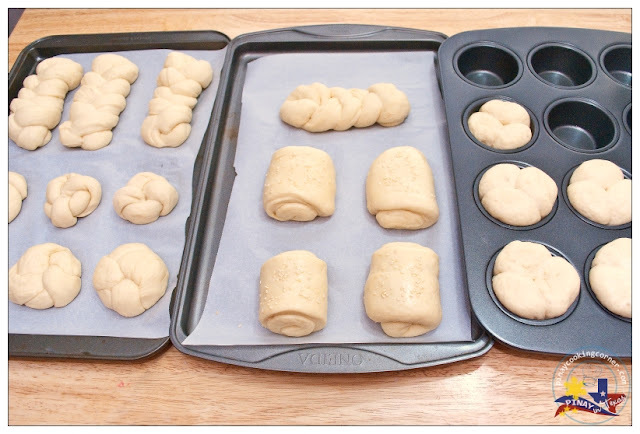 Part of the challenge is making at least 3 shapes of rolls. 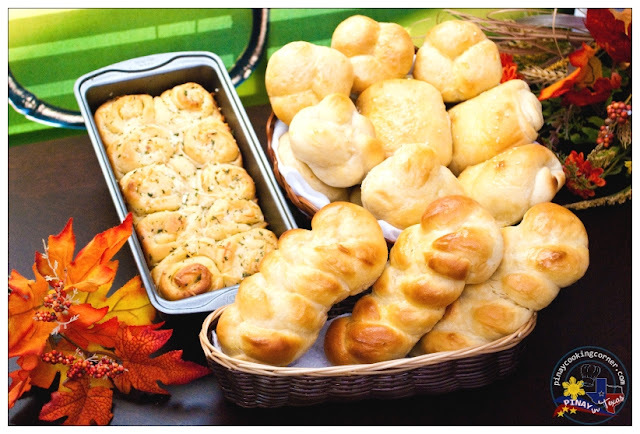 We were given 7 shapes and two recipes to choose from...and I chose Lion House Rolls Recipe. I decided to make 4 shapes out of it which include small braid, rosette or kasier, clover leaf and lion house rolls. 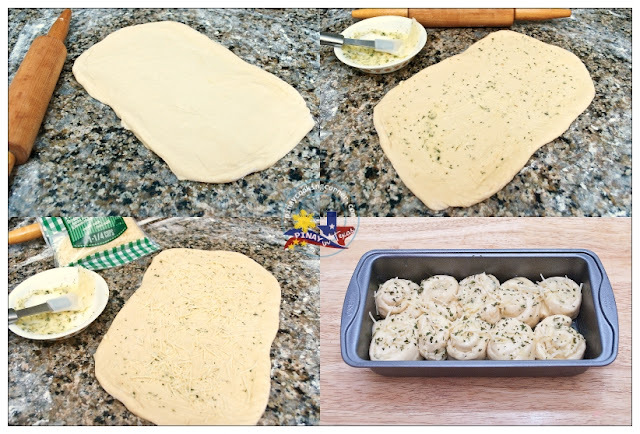 I was also able to make a small loaf pan of pull-apart garlic parmesan rolls. I'm sure that to many of you, making dinner rolls from scratch is very intimidating (just as much as it was to me before)....but I have to tell you that it is way easier than one usually thinks. The best part is, they are much tastier and healthier than store bought ones. It was actually my first time to make shaped dinner rolls and I'm glad to tell you how happy I was with the outcome. Though I was kinda disappointed that the shape of the rosette rolls didn't come out fully defined, everything else was good! These rolls have the perfect taste, texture and softness, and the secret is simple --- giving the dough enough time to rise. Now, I just have to practice my dough shaping skills so the that the next time I make shaped dinner rolls, I can really say it's PERFECT! 1. In the bowl of an electric mixer, combine water and milk powder and stir so the milk dissolves. 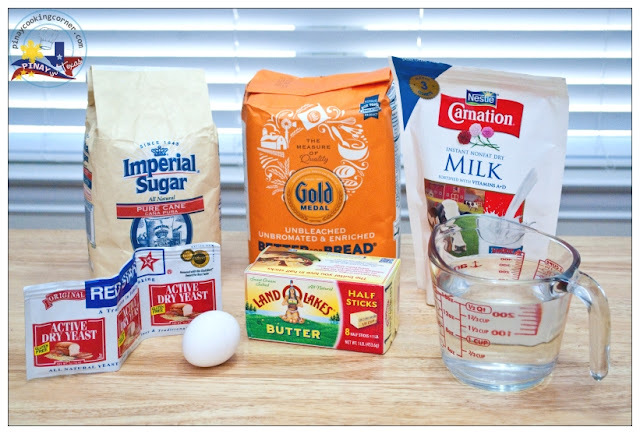 Add the yeast to the mixture then the sugar, salt, butter, egg and 2 cups of flour. Mix on low speed until ingredients are wet, then turn to medium speed and mix for 2 minutes. 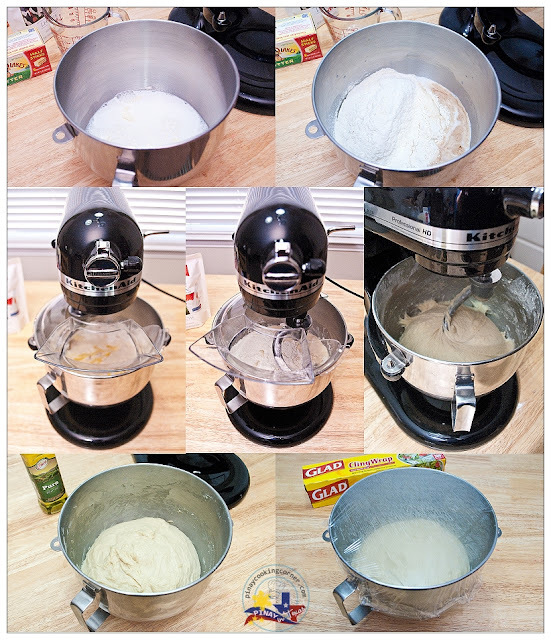 Stop the mixer and add 2 more cups of flour then mix on low speed until the ingredients are wet, then turn mixer on medium speed and mix for 2 minutes. The dough will be getting stiff and you may need to remove the bowl from the mixer and mix in the remaining flour by hand. Add approximately 1 cup of flour and mix again. (This can be done by hand or mixer). The dough should be soft, not overly sticky, and not stiff. (It is not necessary to use the entire amount of flour. I used 5.). Scrape the dough off the sides of the bowl and pour approximately one tablespoon of olive oil all around the sides of the bowl. Turn the dough over in the bowl so it is covered with the oil. (This helps prevent the dough from drying out.) Cover with plastic and allow to rise in a warm place until double in size. 2. It is now ready to roll out and cut into desired shape and size of rolls. Sprinkle a cutting board or counter with flour and put the dough on the flour. Divide the dough into five equal parts. 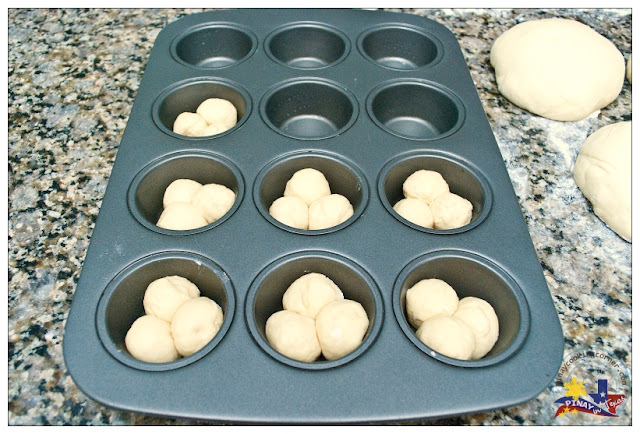 Weigh each part to be sure that you divide your dough evenly. This will require a slightly greased muffin pan. 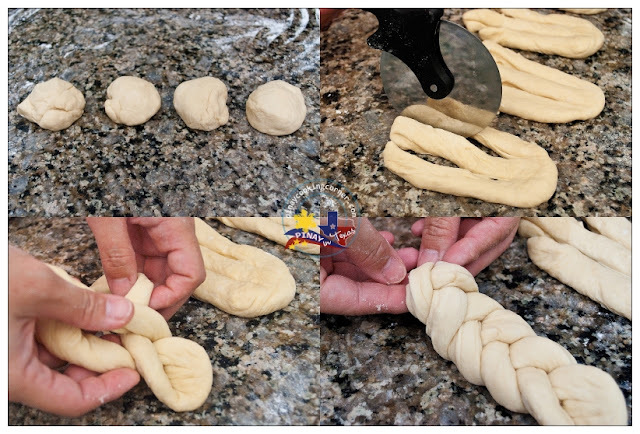 Divide the first portion of dough into 21 small pieces. Shape each piece into a small ball. Place 3 balls in each of the muffin cups. Cut the second part of dough into 6 pieces. 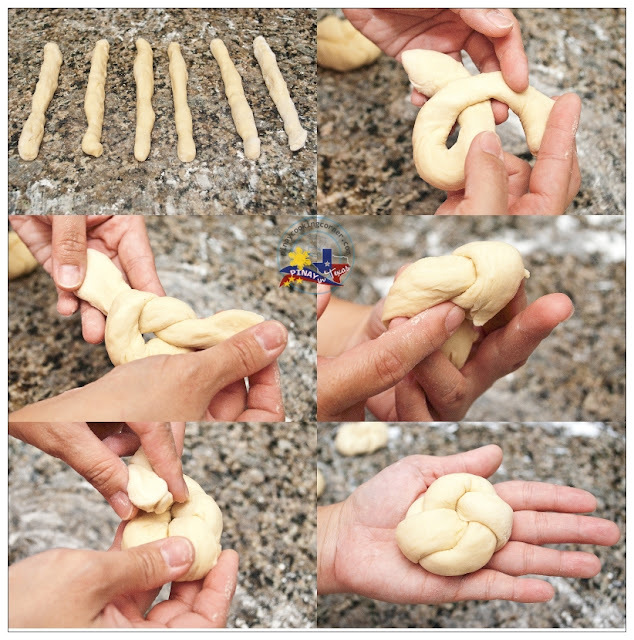 Form each piece of dough into a thin log about 8 inches long then tie it into a knot, with two long "tails" remaining. Tuck one tail under and one tail over in the middle. Divide the 3rd part of the dough evenly into 4 pieces. Flatten each piece into about 1/4 inch thick. Then cut each piece into three thin strips, making sure that you don't cut all the way to the top. Braid the thin strips and pinch the ends together. Do the same with the remaining 3 rectangles. On a floured surface, flatten the fourth part of dough into about 1/4 inch thickness. Slightly brush top with garlic butter (I combine 1/8 cup butter, 1 tsp minced garlic and 1/4 tsp garlic salt). Cut into 4 rectangle pieces. Starting with short end, roll up each piece of dough with butter on the inside. Brush with remaining garlic butter mixture then sprinkle with sesame seeds. 3. Place on greased or parchment lined) baking pans. Cover with plastic or wet kitchen towel so the dough won't dry up as they rise. Let rise in a warm place until the rolls are double in size (approx. 1-1 1/2 hours). Brush with egg wash (1 beaten egg plus 1 Tbsp milk). Combine the first four ingredients in a small bowl. Let sit for at least 15 minutes for the flavors to meld. 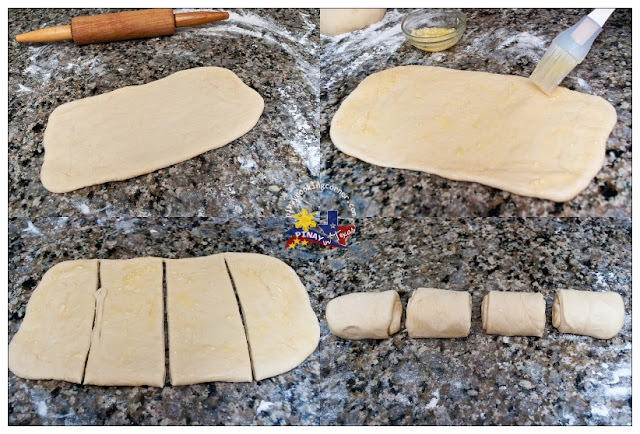 On a floured surface, flatten the last part of dough into a rectangle of 12"x8" size and 1/4" thickness. Brush top with garlic-butter-parsley mixture. Sprinkle with Parmesan cheese. Roll into a log then cut into about 1 inch thick. Arrange in a loaf pan. Brush top with remaining garlic-butter-parsley mixture then sprinkle with some more Parmesan cheese and dried parsley. 4. Bake in a 375-degree oven for 15 minutes or until they are browned to your satisfaction. Brush with egg wash during the last 3 minutes of baking. Remove from oven. Brush with melted butter while hot. i love bread!! looks yummy tina! Such beautifully baked dinner rolls...loved them all. i am speechless here!!! very well done!!! beautiful!! 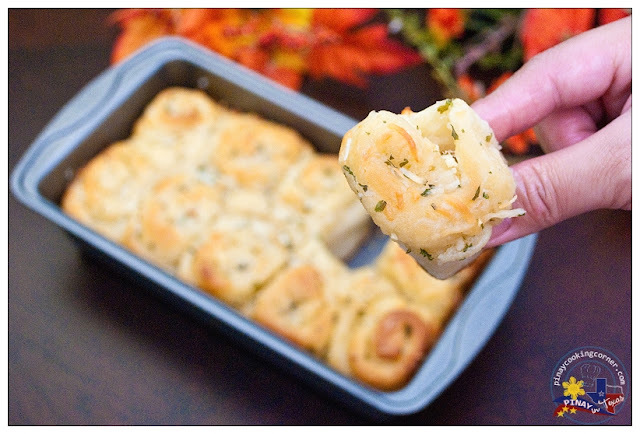 The garlic pull apart roll recipe is lovely,will surely try it. Tina, you done the challenge very well, love it. I love your rolls! 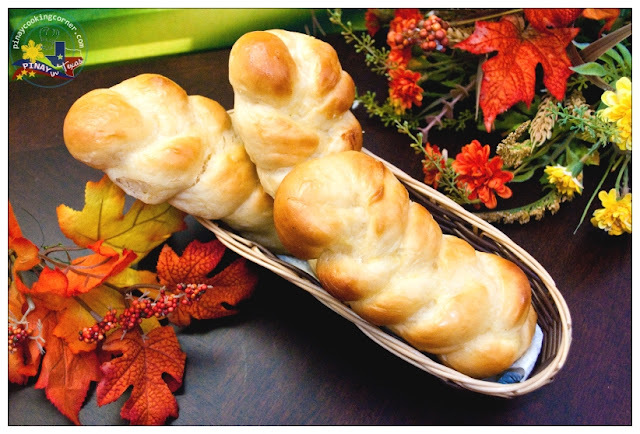 I always make rolls for dinner parties or holidays and this year I'll try your method and recipe! Tina done very well looks great. I appreciate the demo. Such perfect dinner rolls and you say its your first time.